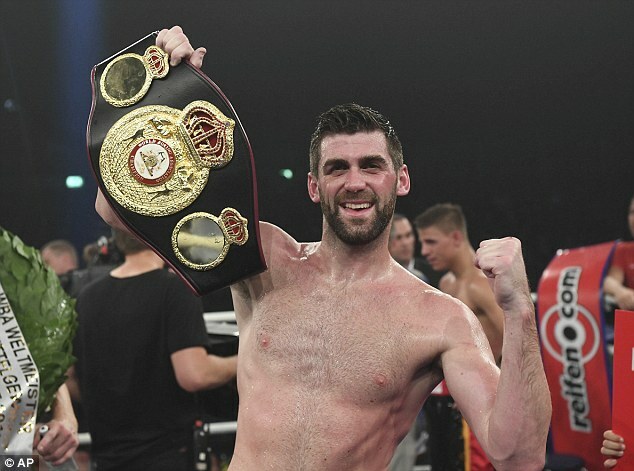 WBA ‘regular’ super middleweight titleholder Rocky Fielding 27-1 (15) couldn’t believe his luck when he learned that unified middleweight champion Saul ‘Canelo’ Alvarez 50-1-2 (34) wanted to fight him later this year. But the real kicker came when his trainer Jamie Moore told him the fight was to take place at the iconic Madison Square Garden in New York City. “The Wednesday before, I was on night feed with our new-born and at about 9.30pm, Jamie asked me if it was OK to chat, I said yes and he just said ‘Canelo wants to fight you’,” Fielding told Sky Sports. “I just said, ‘yeah mate, sound. Let’s do it’. I went down the gym early the next day and him and Nigel Travis had a little smirk on their faces, but they had kept it quiet and they just wanted to make sure I would take it. Of course I would. “Before money and everything else was mentioned, I said of course I’ll fight Canelo. I didn’t know where it was, or what was going on but the next day, Eddie [Hearn] got in touch, so I asked him where it was. “He just said December 15, Madison Square Garden. I just said ‘you’re having a laugh aren’t you?’. Te 31-year-old from Warrington, who claimed the WBA ‘regular’ 168-pound title with a fifth round TKO of previously undefeated German Tyron Zeuge 23-1-1 (13) in July, believes he has grown as a fighter since winning the title. “Yes, it’s Canelo and yes, it’s at Madison Square Garden but I wouldn’t take it if I didn’t think I could beat him,” Fielding said. “He’s moving up from middleweight, I am big super middleweight, I’ve got the height and the reach so I am up against a tough fighter, one of the elite fighters, but I’ve got to be in it to win it. “I am going there confident of winning it and I’m confident I can win it. I’m not going there just because it’s Canelo at Madison Square Garden. I am going there to defend my title. Mexican Alvarez, 28, claimed the WBC and WBA ‘super’ 160-pound titles with a majority decision win over feared knockout artist Gennady Golovkin 38-1-1 (34) in Las Vegas last month. The fight was a rematch of the pair’s disputed draw a year ago.